Web-based and server-based EMR systems are the two options in physical therapy documentation software. Nitin Chhoda discussess the advantages and disadvantages of both options and helps you decide which type of EMR is best for you. There’s been a lot of confusion and indecision among physical therapists about which type of EMR to implement. 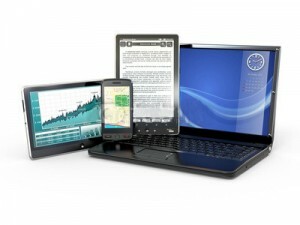 Therapists can choose from a web-based or server-based EMR. Both can be pricy, but practice owners should be aware that there are free EMR physical therapy documentation software programs available. They’re customizable, created by and for physical therapists, and feature an array of the most highly sought functionalities by clinic owners. Whether web-based or server-based, physical therapy documentation software purchased from a vendor can be extremely expensive and require exorbitant monthly fees to pay for the vendor’s sophisticated and extensive data center. A server-based system is housed on-site at the clinic. It doesn’t rely upon an Internet connection to access data, but remote access can be limited, necessitating establishment of an expensive WAN network. 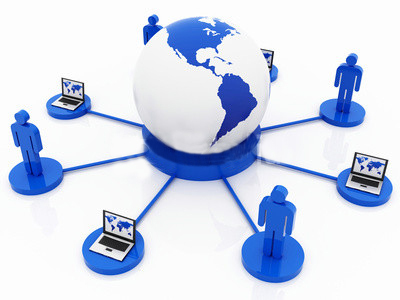 A web-based physical therapy documentation system is hosted by a vendor and information can be accessed anywhere in the world where an Internet connection is available. With a server-based system, therapists have more control of the overall data within the physical therapy documentation system. But with that control comes all the responsibility and cost of updating servers, backing up data, ensuring the security of patient information and remaining in compliance. The cost of maintaining databases, workstation and networking within the office is also at the discretion of the clinic owner. A web-based EMR dramatically reduces the cost of set up, maintenance, upgrades and IT support. Physical therapy documentation training is provided and a higher level of security can be achieved. A high-speed Internet connection will be required for both options, but with a server-based EMR, connectivity is confined to the speed of hospitals, labs and other professionals with which the practice is communicating. Either physical therapy documentation system can be affected by lag and latency during peak “rush hours” online when students arrive home to visit on Facebook and view YouTube videos. Customization of forms and documents is an essential feature of any EMR and a server-based system can allow for extensive changes and customization of processes to meet the individual needs of a practice. Many web-based EMRs type of physical therapy documentation aren’t conducive to changes or customization. They can intrude upon and affect the way therapists operate their clinics, making it imperative to implement an EMR specifically designed for physical therapy practices. Both server-based and web-based physical therapy documentation systems encompass a variety of features beneficial to a practice. Clinic owners must weigh the advantages of maintaining control over their EMR with shouldering the entire burden of cost and security. Those who opt for a web-based EMR enjoy training, enhanced security and anywhere access, but speed can be limited during peak usage hours and by the abilities of connected EMRs. Confusion over the type of EMR to deploy has led many clinic owners to hesitate and delay implementing physical therapy documentation software. EMRs provide the means to increase the efficiency and profitability of any practice with electronic bill submissions and marketing analytics. Both types of EMRs also support patient portals that assist clients in scheduling appointments, requesting refills, viewing test results, and completing forms, encouraging clients to take a more active role in their healthcare.